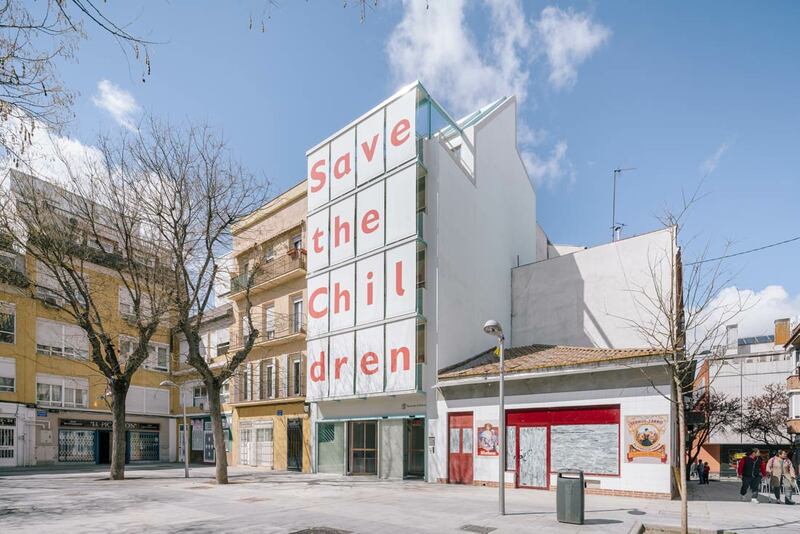 The building for Save The Children Foundation is a strategic point in the San Diego neighbourhood for the social work that this NGO carries out in the Vallecas area. The project involves the refurbishment and extension of the current building so as to address the needs of a child care centre. 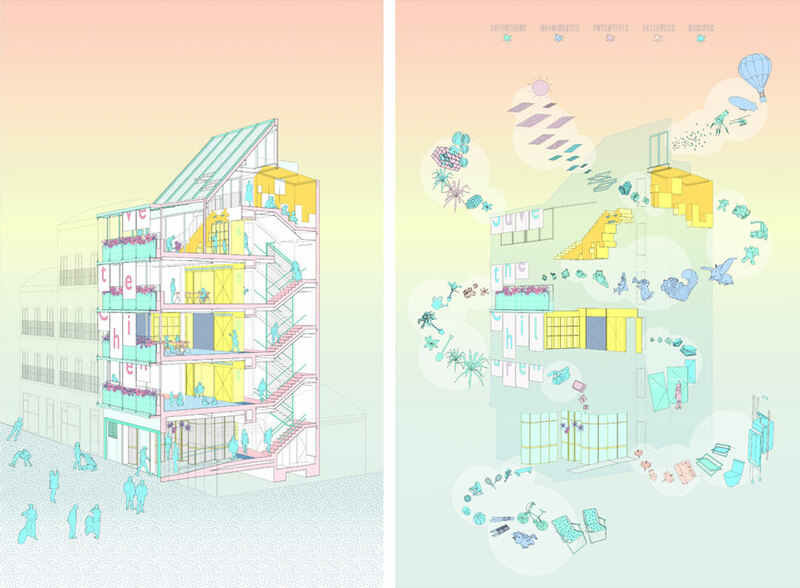 The proposal is based on adding a new body that is suspended over the existing structure. This extends the building and configures a new façade, as well as a new communications and service core. Refurbishment of the architectural support. (a) refurbishment and consolidation of the existing structure. (b) Partial demolition of the rear of the building to integrate a new communications and service core, in compliance with current regulations guaranteeing the technical and functional performance of the main rooms. (c) Extension of the top floor, which uses up the allowed building surface with a two-level space, arranged between two terraces to favour cross-ventilation. (d) Refurbishment of the façade using a system of eaves, canopies and flower pots suspended from the top floor. This solves the problem of the (non-existent) heat insulation and the regulation of the solar radiation, while at the same time configuring the new image of the STC Foundation in the square. 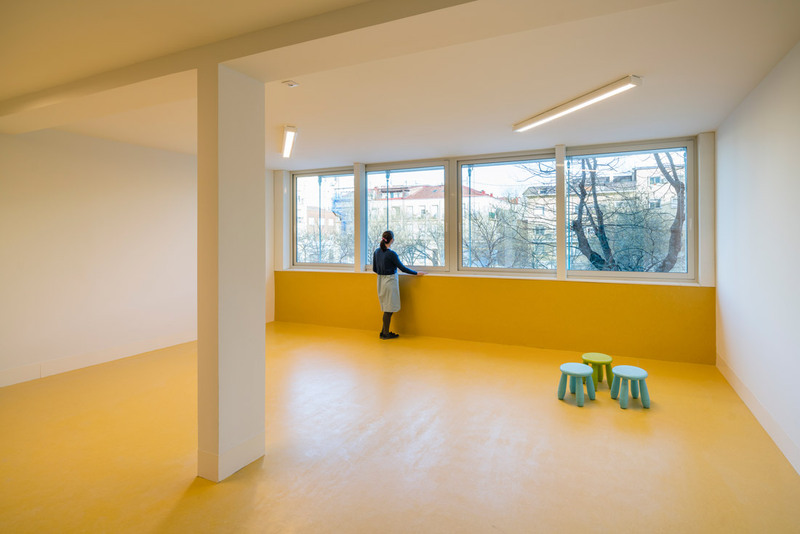 (e) Functional organisation to optimise the typology so that it complies with the demanding regulatory requirements for buildings to be used by children while at the same time maintaining the maximum programmatic flexibility for other potential future uses. 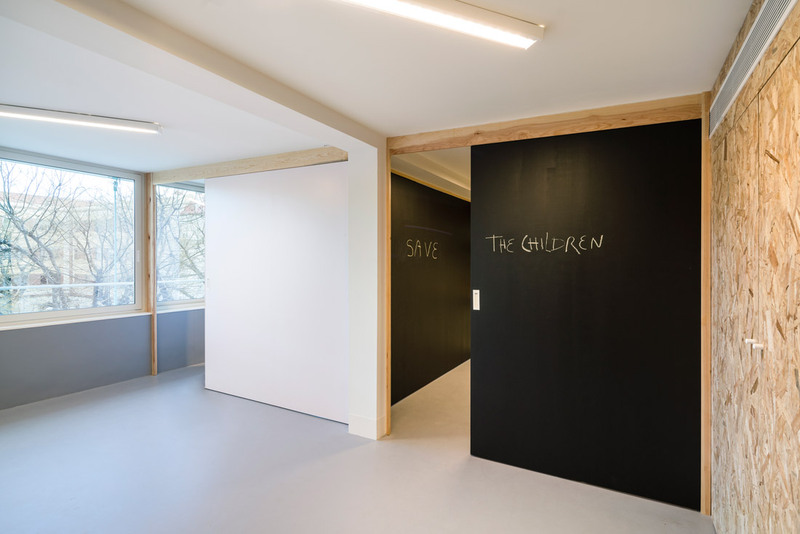 (a) Integration of mechanisms that favour a collaborative arrangement of spaces, including moving panels (in the classrooms) or portable furniture (the system of wheeled shelves in the library). 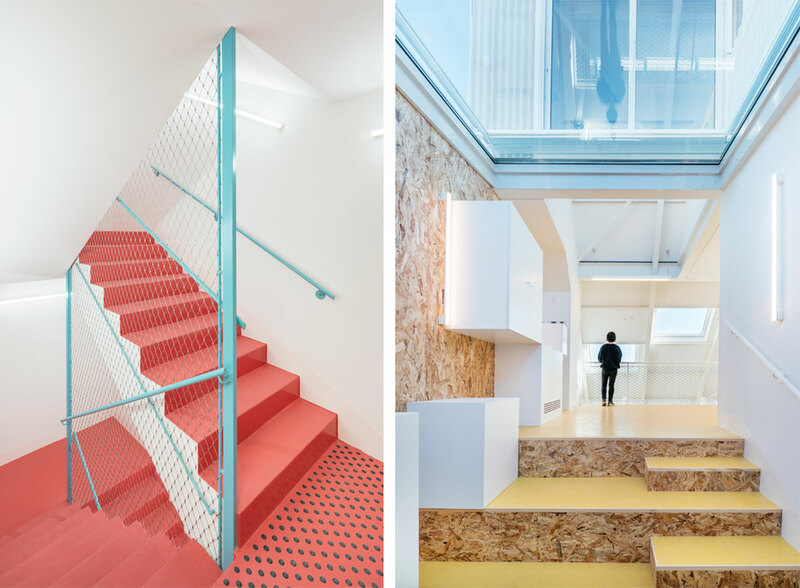 They all help to structure the space in different ways and strengthen the bond between the users and the spaces. (b) Incorporation of elements that encourage care, such as plants (in the pots) and some ‘architectural pets’ (integrated within the various spaces) that will be cared for collectively. (c) Stimulation of perception by using certain materials. 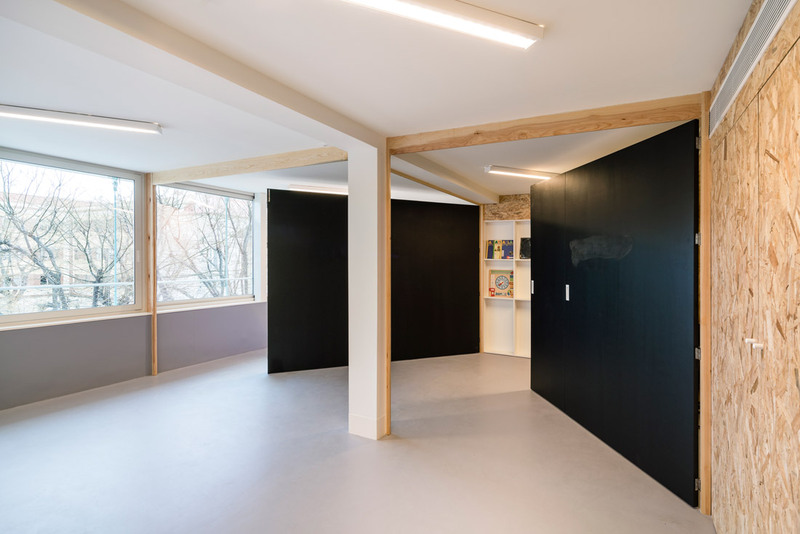 For instance, some of the finishes of the waiting room reflect the outside, the paving of the square flows into the hall up to the waiting room and introduces it into the building and the enclosure connects directly with the game area, breaking the barrier between the inside and the outside. (d) Incorporation of the kids’ wishes. During the bidding process, children of different ages wrote a ‘wish list’ to show how they imagined the new space. Some of their requests, such as ‘installing a chocolate fountain on each floor’ were difficult to implement in the project. Others, however, such as ‘being able to see the stars from the rooms’ have been converted into different architectural elements, such as the skylight on the roof of the screening room. In short, this set of actuations is an attempt to turn the building into a ‘pet’, to make gaming easier and to stimulate a relationship of affection towards the centre. (a) Design of a new insulated enclosure and cross ventilation whenever possible. 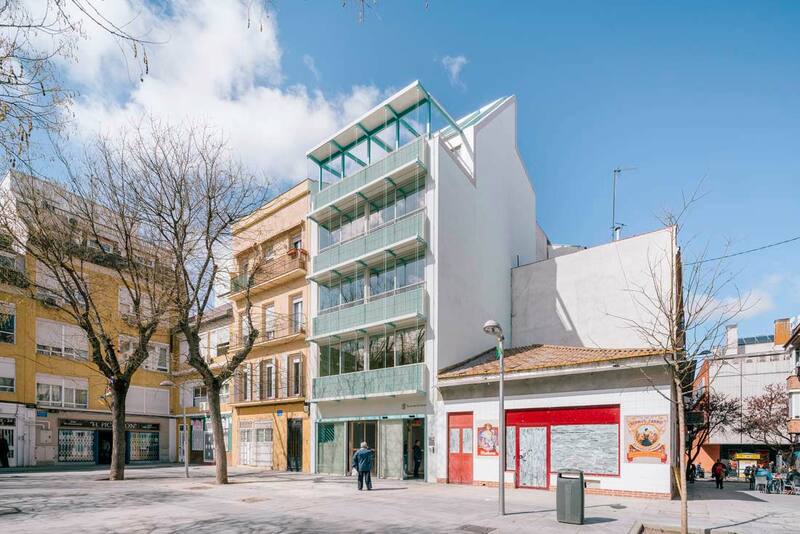 (b) Façade system formed by canopies and eaves that reduce energy consumption for cooling in summer and heating in winter. (c) Incorporation of plants on the façade to help regulate temperature and moisture during the summer months. (d) Cold/hot conditioning system by means of underfloor heating. 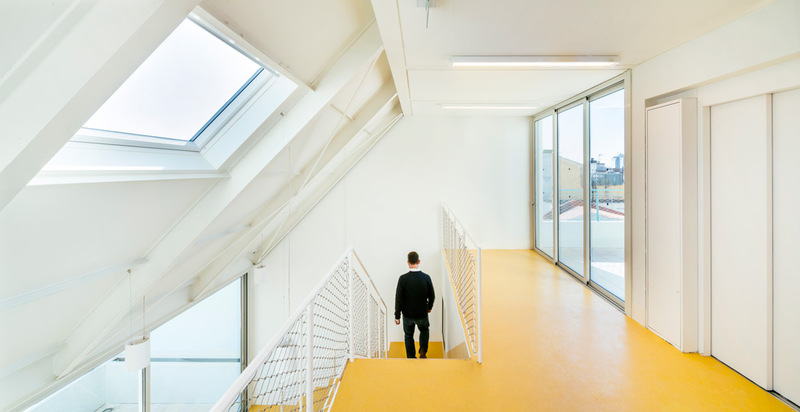 Thanks to all these elements, the building has the best possible energy certification, reduces its maintenance costs, while the comfort of the children, visitors and workers is ensured. (a) Closing of the main terrace with a greenhouse, which will be part of the active air conditioning system. (b) Possibility of incorporating solar photovoltaic energy on the roof, thanks to the optimal geometry and inclination for solar collection. (c) Implementation of new air conditioning elements. (d) Integration of new convertible furniture, etc.